Aligning the prestige with a less than stereotypical office design, the designer implemented a very brave functionally geometric design that paid off. The designer visualized the inside of a mine, picturing the different stones and surfaces, looking at the variety of faces, structures and geometric lines for inspiration. As an investment firm based in the mining trade, efficiency and productivity are key aspects in the business routine. The design was initially inspired by nature. Another inspiration evident in the design is the emphasis on geometry. In up keeping the prestige and reputation of the world-class commercial building, a unique corporate arena is born through the use of glass and steel that helps replicate the various faces, materials, structures and geometric lines that you would expect to see on rock surfaces. The designer also contracted a neutral and fitting colour scheme with an array of whites, greys, blacks and silvers. These colours not only rounded up the interior balance, but it also gave the inflowing rays of natural elements a platform to be exhibited; warm rays of sun reflected against the white table tops as an insistence of more natural light, whereas the beams also softened the darker shades and lines to avoid the rigid office atmosphere. This project finished in January 2013 in Hong Kong. In doing so, the designer transformed the interior into a maze of steel and glass, but strategically also ensuring that the space remained a comfortable and efficient oasis by prioritizing the invitation of the exterior into the interior. These key elements were at the forefront of the designs and were thus visually translated through the use of geometrical and psychological understandings of form and space. The final design is a curtain wall that combines angular pieces of glass and steel that help recreate the different rock surfaces that you would expect to see during a mine extraction. 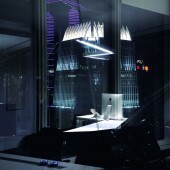 THE XSS LIMITED is an innovative design house based in Hong Kong. Its impressive portfolio consists of architectural, interior design and outdoor landscaping projects across the Asia Pacific. 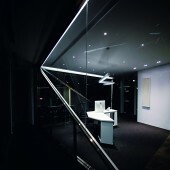 A new design studio has established at Thailand recently. 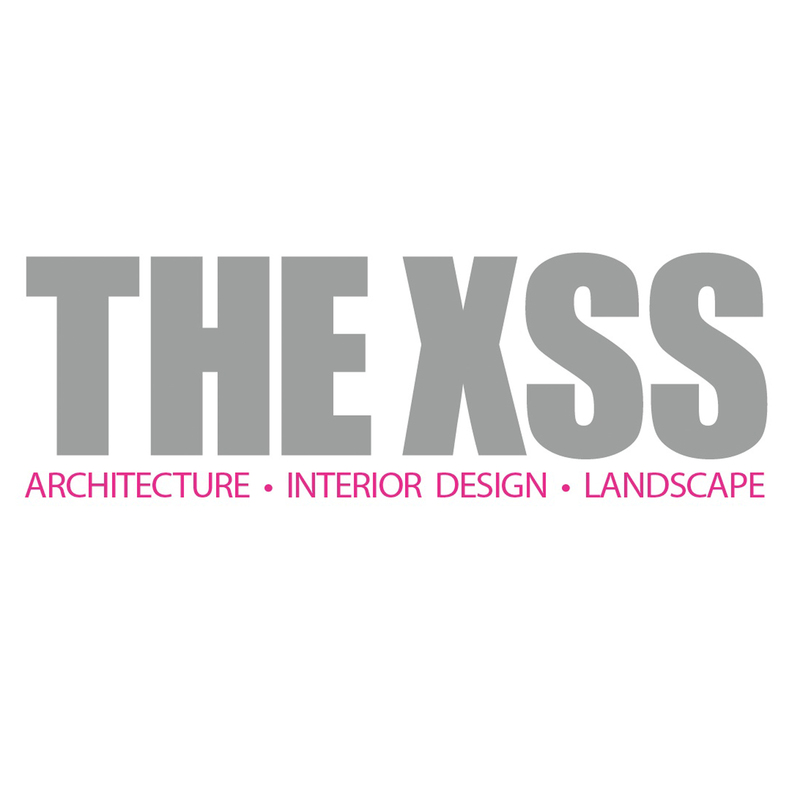 XSS, stands for “extra small” and “small”, which represents the tenacity when examining every fine detail in order to transform the designs in highly-successful reality in every single nook and cranny of a building. 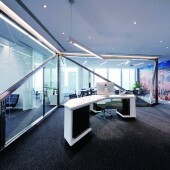 Brockman Mining Limited Office Design by Catherine Cheung is a Nominee in Interior Space and Exhibition Design Category. · Click here to register today inorder to be able to view the profile and other works by Catherine Cheung when results are announced. 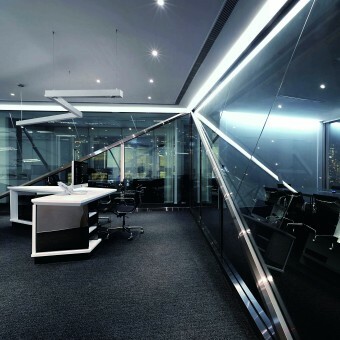 Brockman Mining Limited Office Design by Catherine Cheung is Winner in Interior Space and Exhibition Design Category, 2013 - 2014. · Press Members: Login or Register to request an exclusive interview with Catherine Cheung. · Click here to register inorder to view the profile and other works by Catherine Cheung. Did you like Catherine Cheung's Interior Design? 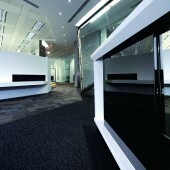 Did you like Brockman Mining Limited Office Design? Help us create a global awareness for good interior design worldwide. Show your support for Catherine Cheung, the creator of great interior design by gifting them a nomination ticket so that we could promote more of their great interior designs.